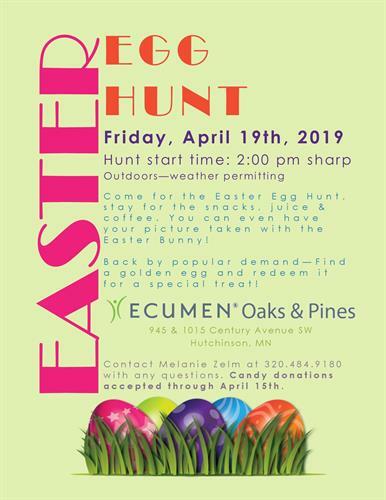 Come for the Easter Egg Hunt, Stay for the snacks, juice & coffee. You can even have your picture taken with the Easter Bunny! Back again this year—Find a golden egg and redeem it for a special treat!